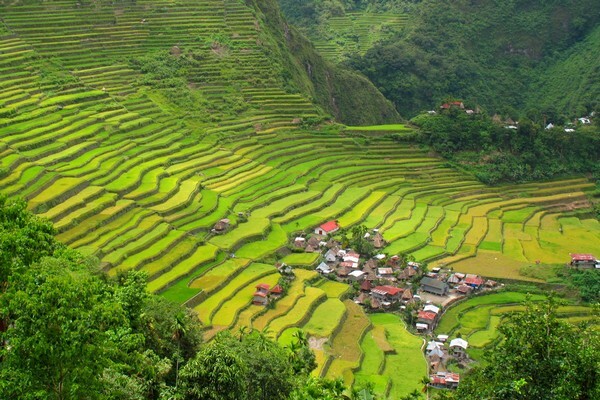 If you find yourself in the Philippines you should seriously consider adding a visit to Banaue and the Rice Terraces of the Philippine Cordilleras, listed as a UNESCO World Heritage Site in 1995. The remote town of Banaue, pictured above, is located in the province of Ifugao, about an 8 hour bus ride north of Manila. The ancient terraces were carved into the mountains over 2,000 years ago. Think about that for a moment. There was very little equipment available back then, so most of the terraces and irrigation systems were carved by hand. Impressive indeed. 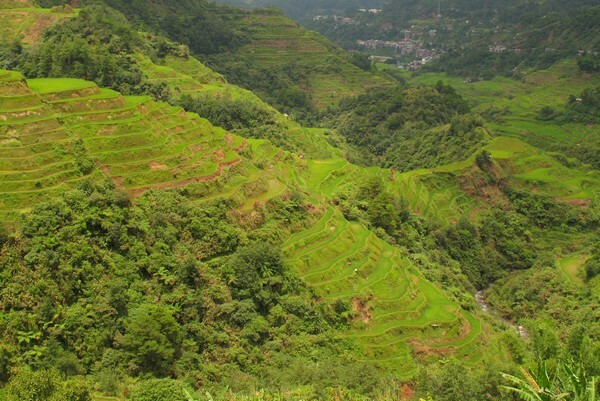 The Banaue Rice Terraces are often called the Eighth Wonder of the World by Filipinos, though that title has been claimed by many nations. Regardless, the historical terraces are worthy of such high praise. It is said that if the steps from these terraces were connected from end to end, the length would be enough to circle half the globe. That’s a lot of steps! Locals still plant rice and vegetables on the terraces to this day, but many families have turned to hospitality and tourism instead. You can’t fault them, there’s much more money in tourism then rice production. Unfortunately, this has lead to neglect and severe erosion in many sections. Only time will tell how this change in direction will impact the region. For the best views, you have to go up, up, up! Surprising, I know. There are several lookout points that offer spectacular panoramic views of the vibrant green terraces – some of the terraces reach an altitude of over 1,500 meters (4,920 feet). You can hike on your own, rent a vehicle or hire a guide. We did a few easy hikes and then hired a tuk-tuk driver to take us to some of the far away spots, like the one above. You can see the town in the distance for perspective. 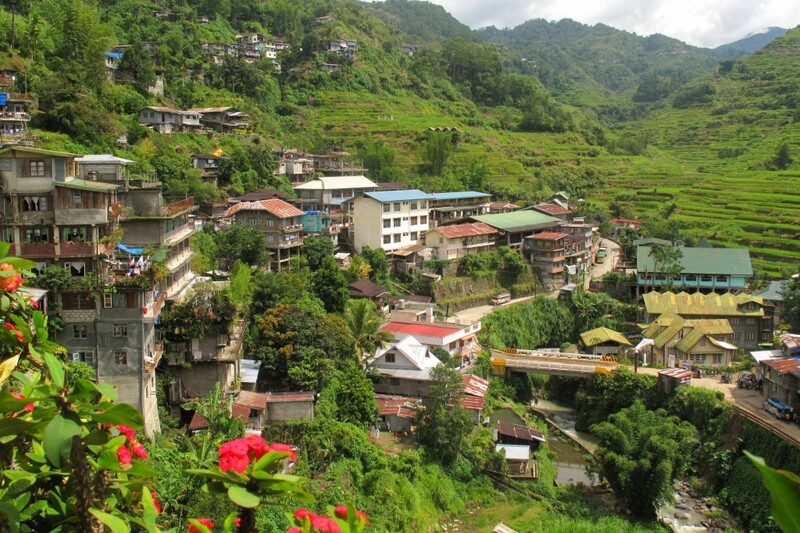 The town of Banaue may not be the most attractive, but its lively streets are full of action. No trip to the Philippines is complete without taking a ride in the back of a funky jeepney. Not only is it cheap transportation, you’ll inevitably come away with a great travel story. This is Challenger. He’s a badass. Okay, I’ll spare you the kitchen sink jokes. But seriously, this was the outdoor sink at one of the restaurants we visited. It was a tight balcony, with the washroom door directly behind me. The drop off from that balcony is ridiculously steep. Not ideal for those with a fear of heights. Without question, the most unique place to wash your hands. We took a jeepney to the Batad Rice Terraces, located about an hour from the town of Banaue. We visited during the rainy season, hence the bright green vegetation everywhere, so many of the roads were in pretty rough shape. 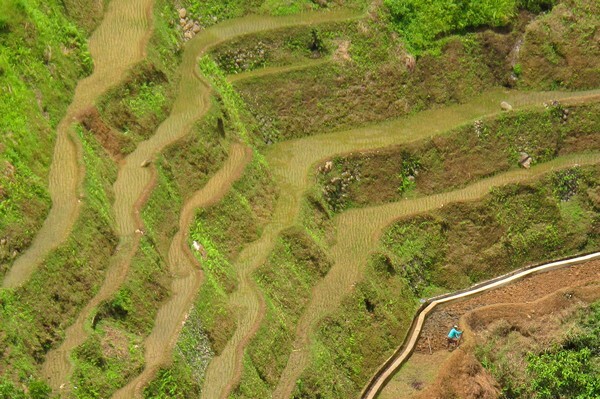 There was a mudslide the day before, cutting off the connection between Banaue and the remote villages in the Ifugao province, including Batad. It took our persistent driver a few attempts before we finally got the sturdy jeepney over the rocky landslide. An interesting experience to say the least. 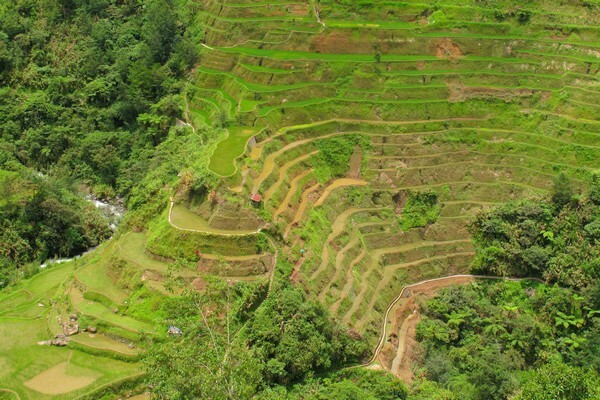 Contrary to popular belief, the Banaue Rice Terraces are actually not a UNESCO World Heritage Site. 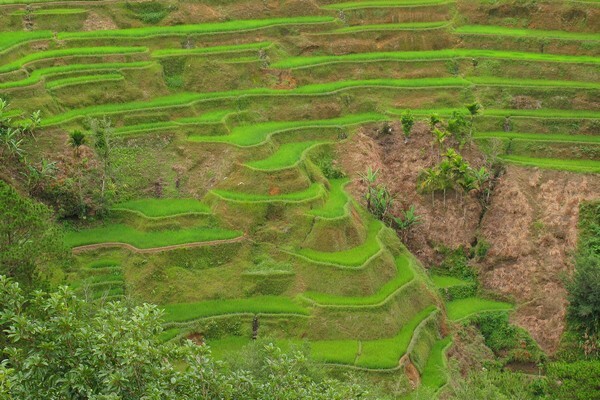 They were not included in the UNESCO inscription for the Rice Terraces of the Philippine Cordilleras because there are numerous modern structures and alterations, making it score low in the integrity criterion of UNESCO. Batad, on the other hand, is one of the five sites included in the UNESCO World Heritage Site. As you can see from the above photo, Batad sure is pretty! While most people associate the Philippines with beautiful tropical beaches (and rightly so), first time visitors should not overlook the lush jungles and mountains in the Ifugao province. Not only will you be treated to incredible landscapes and hiking trails, you’ll experience a completely different side of Filipino history and culture. Have you visited the Philippines? If not, is it on your travel wish list? Seriously gorgeous! But you know what? Philippines look so much like India! I guess some parts of the Philippines look like India. I would not have thought to make that comparison, but I remember the rice terraces in Nepal looked similar to these ones. Great scenery! Glad you were able to visit Philippines. Riding that jeepney looks very adventure-filled as well. Yes, the jeepney’s are quite the adventure! I would love to visit the rice terraces too! I heard the candidates in the Ms. Universe have experienced to climb up those steps when the event was held in the Philippines. I don’t know when though, a friend just told me when he visited the Philippines and all his adventures in the beautiful country. I love your photos, and I love that outdoor sink which I think really is unique. I don’t know if I could wash my hands on that height though. haha! Thanks for the kind words Rachel. I’m glad you like the photos. It’s a beautiful part of the world. Wow! Amazing backstory with pictures to match! So i guess Sapa, Vietnam isnt the only with a stunning scenery of terraced rice plantations then. Thanks for sharing this! What an amazing place , many mountains around and a wonderful view , very good to rest. 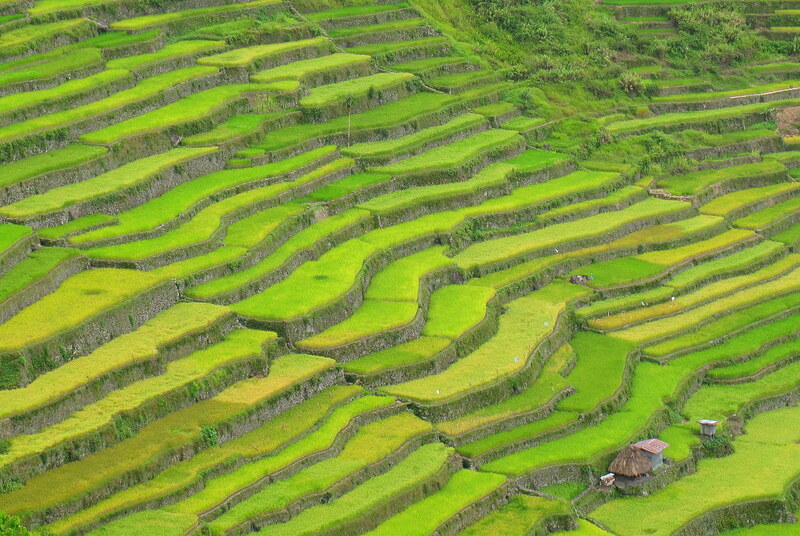 Banaue Rice Terraces is really great! The pictures are AWESOME! This tourist spot is really gaining so much attention! Amazing! i like the pictures of Rice Terraces. 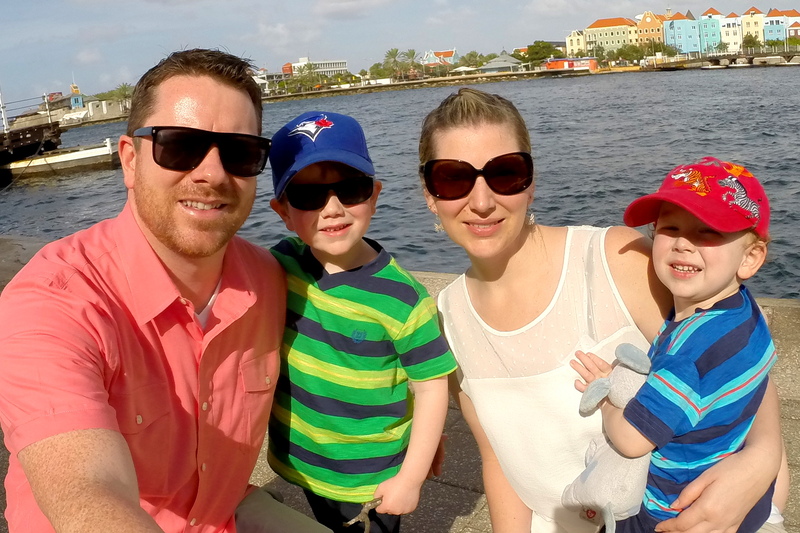 One of my favorite spots in the Philippines for sure … hope you had a wonderful visit! Banaue is a really great place! Been there a few times and love it. Though, my absolute favourite is Sagada, a few hours furthre north of bananue. It has less tourists and feels more rural and a more cozy town as well.